Tible offers a mobile loyalty solution called Kuh-nip. 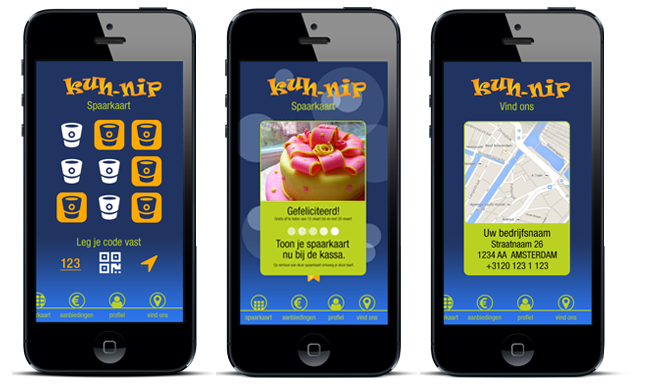 With Kuh-nip we offer an easy-access, white label loyalty solution for smartphones. The app can be customized with desired add-on, like for example additional pages with promotional offers. Furthermore we can develop custom made solutions, either built on the fundaments of the white label solution or a fully customized platform. Learn more about Kuh-nup at www.kuh-nip.com or download the app from Play Store. To prevent or not? Is it a question? Research done by KPMG (May 20, 2015) shows that only one in three companies acknowledges that cybersecurity is a topic that needs the highest attention. Is cybercrime really a far fetched issue? When you follow the latest news it can not be ignored that cyber security needs our focus: Islamist militants who hack the site of an Australian airport, a large-scale hack at an American university and also in our country it happens more often. What do you think of the serious leaks in Dutch major retailers including Cool Blue and the DigiD security? 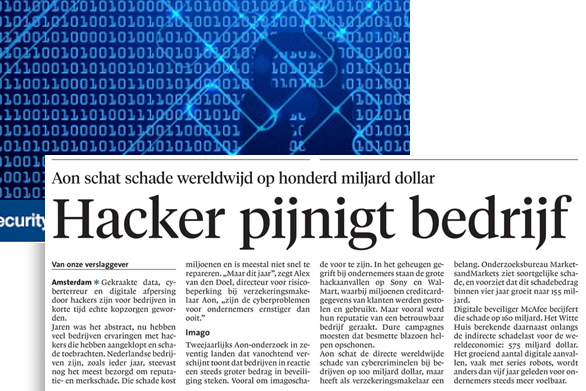 Consultancy agency LBVD studied the safety of Dutch websites with the shocking result that nearly nine out of 10 websites is unsafe. In addition, research performed by Aon shows that besides stolen data and its severe issues that already causes, the reputation and reliability of your business are also affected. Worldwide damage from cybercriminals for companies is estimated around $ 100 billion! Therefore do not take any risk and let Tible perform their Tible Security Fundamentals scan for your business. The Tible Security Fundamentals scan will give you a complete overview of the security of your website. During this scan we crawl your website and check it on the most common and current weaknesses. Tible does so according to the philosophy and methodology of hackers. The result of the scan provides a report that, in addition to a management summary, detailed information provided by found weakness reserving the OWASP-10 (Top 10 Web application vulnerabilities). After identifying possible weaknesses Tible can help you to restore and apply security solutions.